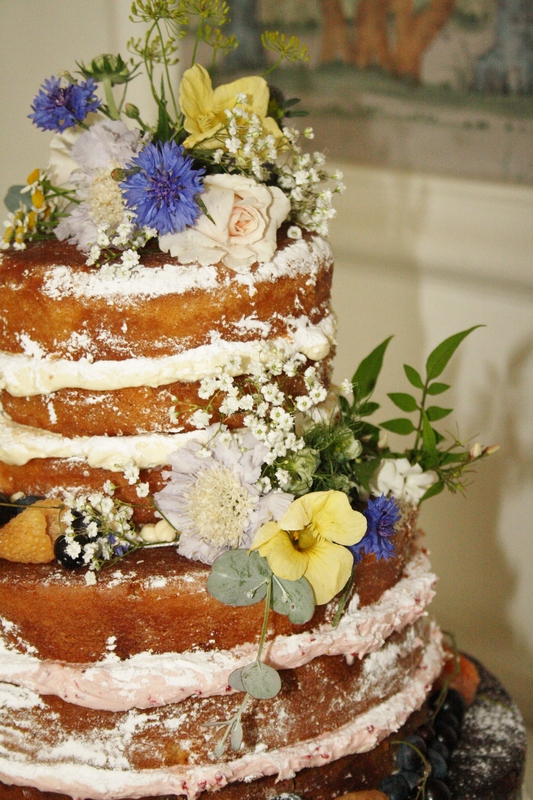 Three tier “naked” style wedding cake at The George in Rye. Belgian Couverture Chocolate sponge with whipped ganache filling, vanilla bean paste sponge with Raspberry & Chambord whipped buttercream filling, fresh lemon sponge with Lemon curd whipped buttercream filling. 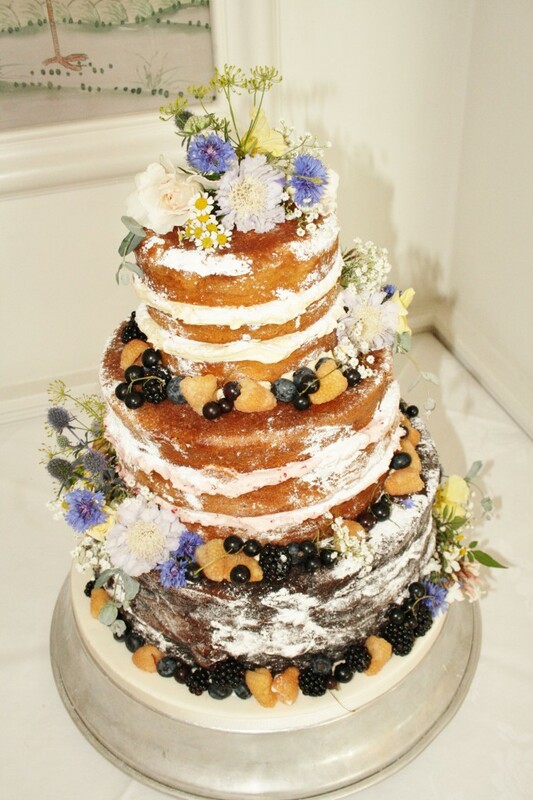 Finished with icing sugar and fresh flowers and fruit to match. Set on iced board. Cake serves 160 finger portions.